One of the predictions I made for 2011 was that the trend toward what I have labeled “atomic volatility” (a lessening of the scope of the underlying for options contracts and/or the duration of those contracts) would accelerate. 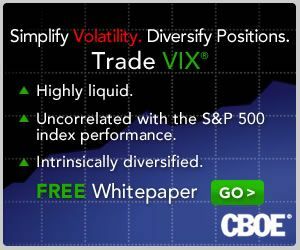 Now the CBOE is taking the next step with VXEEM, the volatility index that is based on the popular emerging markets ETF (EEM), and offering futures on that index. The launch of these futures contracts is set for January 9th and will initially include contracts with expirations in February, March, April and May. Note that the expiration cycles for these contracts are the same as those for the VIX futures and options, meaning that they will expire on Wednesdays (February 15, March 21, April 18 and May 16) and can last be traded on the Tuesday immediately following the expiration. For more information, check out the CBOE’s VXEEM splash page and information circular. One of the reasons I think products based on EEM and VXEEM have a good chance of being successful is that emerging markets are typically a highly volatile area – much more so than the basket of stocks included in the S&P 500 index on which the VIX is based. Right now, for instance, EEM has a 60-day historical volatility that is more than 50% higher than that of the SPX. All this means that short-term traders should find VXEEM products (futures as well as options and ETPs, assuming they are in the pipeline) to be the types of high-octane trading vehicles that are well-suited to some of their favorite strategies, much like leveraged ETPs and VIX-based products. Additionally, as the chart below reminds us, emerging markets sometimes move in cycles that are distinct from U.S. stocks. Note that the ratio of EEM to SPX has varied wildly over the course of the past five years and has had different bottoms and tops than the SPX has. Whether this phenomenon will continue into the future (influenced strongly by China) remains to be seen, but the role of emerging markets relative to developed markets should be watched closely in 2012. How Good Has the U.S. Data Been Lately? VIX Under 30 Five Days in a Row?